Researchers at the University of Warwick and the University of Sheffield have applied computing power to crack a problem in egg shell formation. 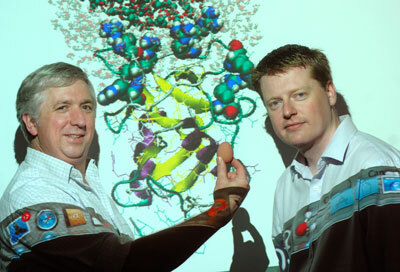 The work may also give a partial answer to the age old question 'what came first the chicken or the egg'? Prediction markets to facilitate real-time science? Kaggle, a web platform for data prediction competitions, has just issued a press release that touts the usefulness of open prediction technology for data-heavy scientific problems. The platform allows researchers and organizations to post their problem and have it scrutinized by the world's best statisticians to predict the future (produce the best forecasts) or predict the past (find the best insights hiding in data). Thailand's National Science and Technology Development Agency (NSTDA), and Department of Agriculture, Ministry of Agriculture and Cooperatives have signed a research collaborative MoU to identify and initiate agricultural research activities. The initial phase of the collaboration will focus on nanotechnology particularly in the area of food packaging and encapsulation technology for control release of fertilizers. 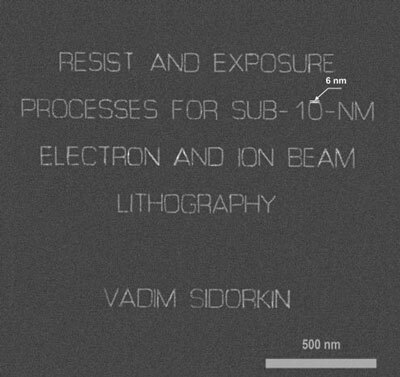 NanoNed researcher Vadim Sidorkin is the first in the world to succeed in patterning a substrate with markings only 6 nanometres in size and only 14 nanometres apart. A spacing of 14 nanometres, would increase in the capacity of the memory chips of, for example, new generation mobile phones tenfold. A team of researchers from Delft University of Technology announces a new type of nanopore devices that may significantly impact the way we screen DNA molecules, for example to read off their sequence. Elektrische Spannung reguliert Bindung von DNA. When trying to control the way heat moves through solids, it is often useful to think of it as a flow of particles. 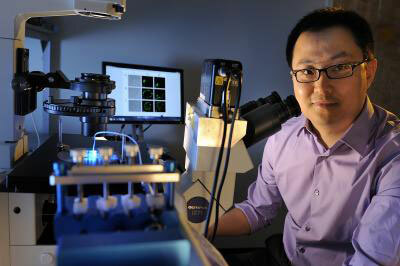 The journal, Nano Letters, recently published an article highlighting the fascinating nanogenerators developed by Dr. Yong Shi, a professor in the Mechanical Engineering Department at Stevens Institute of Technology. Information-rich, practical program focusing on particle and molecular characterization. Researchers at UCLA's California NanoSystems Institute and Jonsson Comprehensive Cancer Center demonstrate that mesoporous silica nanoparticles (MSNs), tiny particles with thousands of pores, can store and deliver chemotherapeutic drugs in vivo and effectively suppress tumors in mice. IBBT leads an International Consortium which has acquired EU funding for coordinating and support action project and establishing an Open and Sustainable ICT Research Infrastructure Strategy. HZB-Forscher beobachten atomare Vorgaenge beim Dotieren von Halbleitermaterialien. Researchers at Thailand's National Nanotechnology Center (NANOTEC), Nanoscale Simulation Laboratory are investigating the thermodynamic and kinetic aspects of the methanolysis and hydrolysis reactions of glycerol triacetate or triacetin, using Density Functional Theory (DFT). 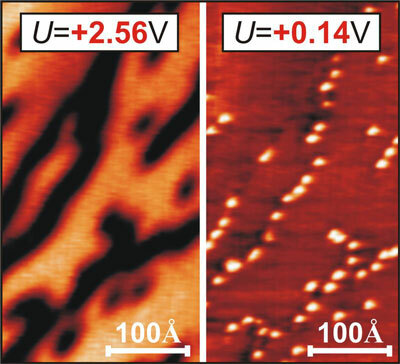 A new source of entangled photons twenty times brighter than all existing systems has been developed by a team from the Laboratoire de Photonique et de Nano-structures (LPN) of CNRS. 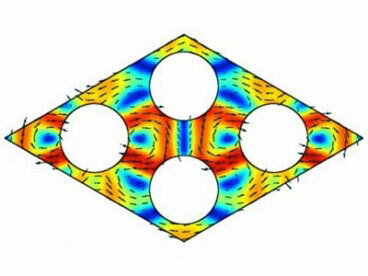 This novel device is capable of considerably boosting the rate of quantum communications and constitutes a key component in future quantum logic processes. A new system for the controlled delivery of pharmaceutical drugs has been developed by a team of University of Rhode Island chemical engineers using nanoparticles embedded in a liposome that can be triggered by non-invasive electromagnetic fields.